The 600 PRO-RMK 155 snowmobile is part of the lightest, strongest, most flickable family of sleds on the market - the PRO-RMK. 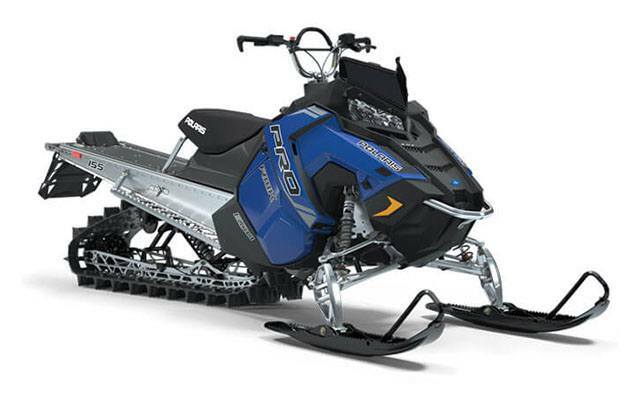 The 600 engine is perfect for riders that want a high performance sled with instant acceleration. LIGHTWEIGHT: Polaris snowmobiles are the lightest sleds on the mountain. 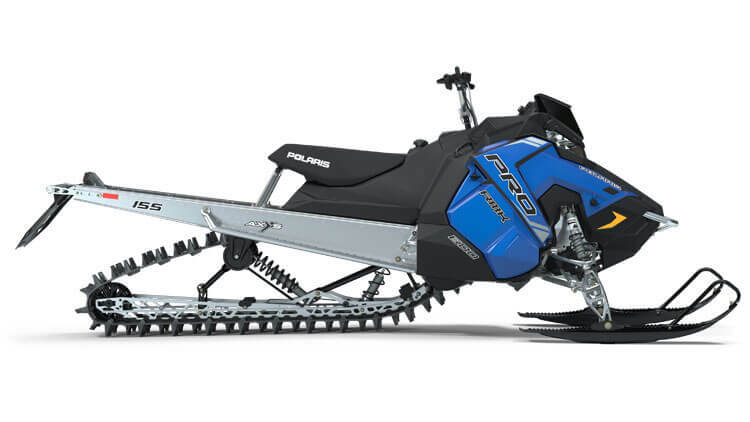 Polaris® mountain sleds have always been light AND rigid, and Polaris has added strength & durability while reducing weight on the RMK® AXYS® platform. Polaris uses design optimization software to analyze the loads and stress points for various systems and components of the snowmobile which allows the team to design lightweight yet durable snowmobiles. 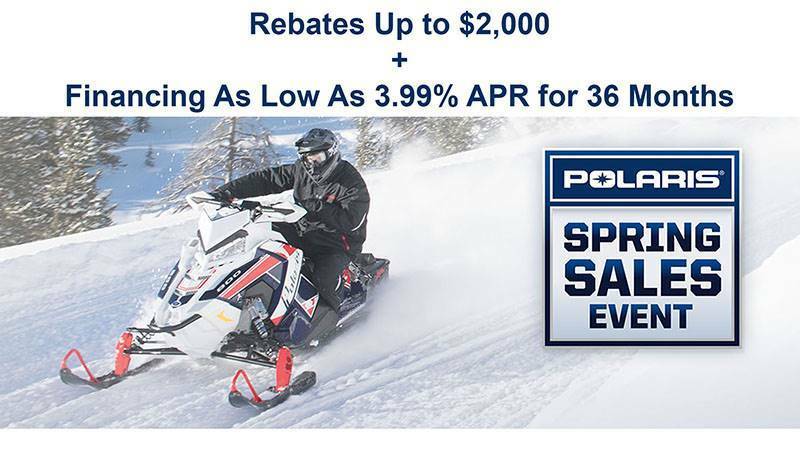 Providing riders with instantaneous lift, Polaris sleds help riders get up on top of the snow faster due to the lighter weight, increase in power from the new 600 H.O. Cleanfire® Engine, new Polaris-exclusive track designs and the new raised chassis. 600 CLEANFIRE® ENGINE: "This liquid-cooled Cleanfire® engine with semi-direct injection (SDI) deliver outstanding throttle response and instant acceleration. These powerful, efficient engines start easily and reliably and they calibrate automatically as the temperature and elevation change. These engines deliver impressive fuel economy in real-world riding situations, which, for Polaris riders, means aggressive, up-tempo riding, not low-rev lab conditions. Now in the AXYS® chassis, the 600 engine features new lightweight integrated mounts, electronic oil pump and bypass thermostat." WALKER EVANS ® MONOTUBE SHOCKS: PRO-RMKs come standard with Walker Evans® Monotube Shocks. During SnowCheck, there is a choice of a premium Walker Evans® Piggyback Clicker shock or the Walker Evans® Monotube Shocks. The new Walker Evans® Piggyback Clicker Shocks with compression adjusters and remote reservoirs offers the best performance across the broadest range of conditions. The new Walker Evans® Monotube Impact-Extruded Shocks are the lightest weight shock option from Polaris for those riders counting ounces. The one-piece, simple design is lightweight yet durable.